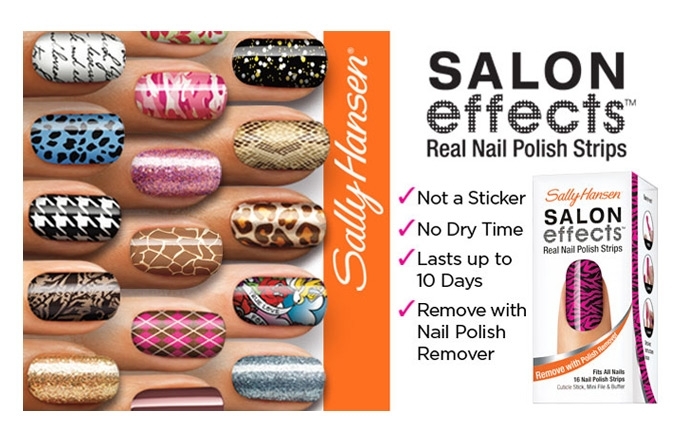 Even though the USPS lost my voxbox I figured I'd give the Sally Hansen Salon Effects nail polish strips a try. As it happens I had picked up a set back at Christmas time—Plaid About You—that I never got around to using. While the print isn't particularly summery I said what-the-heck and put it on anyway. Afterall, denim cut-offs and a plaid flannel is a nice pairing this time of year when it gets cool in the evening. Isn't it cute? It totally matches my iPad case! 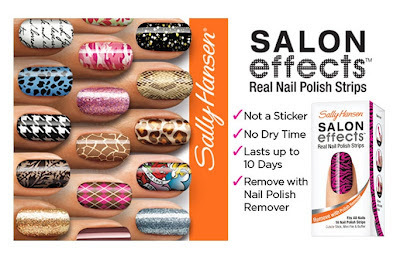 Unlike other nail strips I've used Sally Hansen Salon Effects are actual nail polish, not stickers. I loved the idea in theory but it definitely had it's downfalls too. Because the strips are actual polish they dry out which means you can't save the extras for another use later. They come packaged into two groups of 8 each. Also included are an orange stick, a special file, and the full instructions. You definitely want to shape your nails and clean them with polish remover right before application. Make sure they're dry and oil/lotion free just like you would with nail polish from a bottle or they will not stick. One of the things I immediately didn't like was how transparent the strips looked on my nails. You can literally see the light behind my nail in the above before and after photo. The strips came in okay sizes but overall I found I had lots of edges that needed fixing. These were actually pretty time-consuming in that regard. Within ten minutes of finishing them I had two nails with chipped tips. :( I was really bummed about that since I was hoping these were going to be my new favorite nail product. I think if I use these again I will apply a topcoat for added durability. What I did love was the shine! If you want the glossy finish of real nail polish these strips deliver. They do show how ridged and damaged a few of my nails are though so if you have major dings and dips in your nails you may find these hard to make smooth. Mine look really bumpy on my thumbs because of the bad ridges I have there. At the prices I've found these at ($7-$11 a set) I wasn't all that impressed. I'd give these a 2 star, possibly 3 star rating. They're just okay because for me the cons outweigh the pros. If I'm paying about $10 a set they have got to last longer than 24 hours. We'll see how long they actually hold up before I have to remove them. All that said they are definitely a product worth checking out. 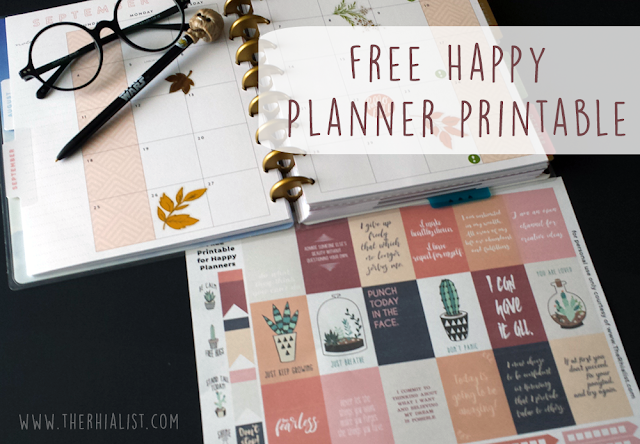 I'm always browsing them in the store searching for the perfect print (though there are lots of solids too I just can't see a reason to buy them with prints as cool as these). Right now they have a movie tie-in set for Rock of Ages that has some great prints and they just started a pedi line though I haven't been able to find them anywhere. Just in time for sandal season! Overall, even though I wasn't happy with how this set turned out—though I seriously love this print and hope it rereleases this holiday season—I think I might try another one sometime. I don't have time for fancy nail art and the prints really do make them worth trying if you've ever wanted to go bold with your mani. Time for me to dig up some tips and tricks for making them last longer and look smoother. Note: I received this product through Influenster's Voxbox program which provides members with free products in exchange for honest reviews. All opinions shared here are my own and not influenced by the freeness of the product. If you'd like to know more about how Influenster works please visit their website. This product was purchased by me since my Voxbox was lost in the mail. The disclosure is only here for the purpose of letting you know more about the wonderful program that is Influenster and for my participation in the Brand Challenges from the Spring Beauty Voxbox. What a weekend...cute clothes & bad managers! Influenster Mom VoxBox Hints & Guesses!